This is a track I made in honor fictional leagues and especially the Brazilian Brazilian drivers that make these alloys very fucks. This track began in 2009, and let it go, because I would like her to have elements that at the time of its conception I had not enough knowledge about programs as Bobs Track Builder and 3Dsimed. But I knew it was a track that had great potential especially for competitions with touring cars. So I decided to take her ostracism and finish well after knowing how to handle and make it as actually pictured. If you have a sound in your folder called Fans, be able to listen to the fans during the race or rank. Thanks: Bobs Track Builder, Xpacks and tow scoretowers the Nascar SERIES. Special thanks to friends who helped directly and indirectly in the preparation and finalization of the track. At most I can only thank the friends and colleagues. Essa é uma pista ficcional que fiz em homenagem as ligas brasileiras e principalmente aos pilotos brasileiros que tornam essas ligas muito fodas. Essa pista comecei em 2009, e deixei pra lá, pois gostaria que ela tivesse elementos que na ocasião de sua concepção eu ainda não tinha conhecimento suficientes sobre os programas como Bobs Track Builder e 3Dsimed. Mas sabia que era uma pista que tinha um grande potencial principalmente para competições com carros de turismo. Então resolvi tirar ela do ostracismo e terminar depois de bem conhecer como lidar e fazer ela como realmente imaginei. Se tiver um som na sua pasta chamado Fans, conseguirá escutar a torcida durante a corrida ou classificação. Agradecimentos em especial aos amigos que ajudaram direta e indiretamente na confecção e finalização da pista. No mais só tenho a agradecer aos amigos e colaboradores. 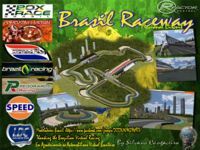 There are currently no setups for Brasil Raceway. Add a Setup. 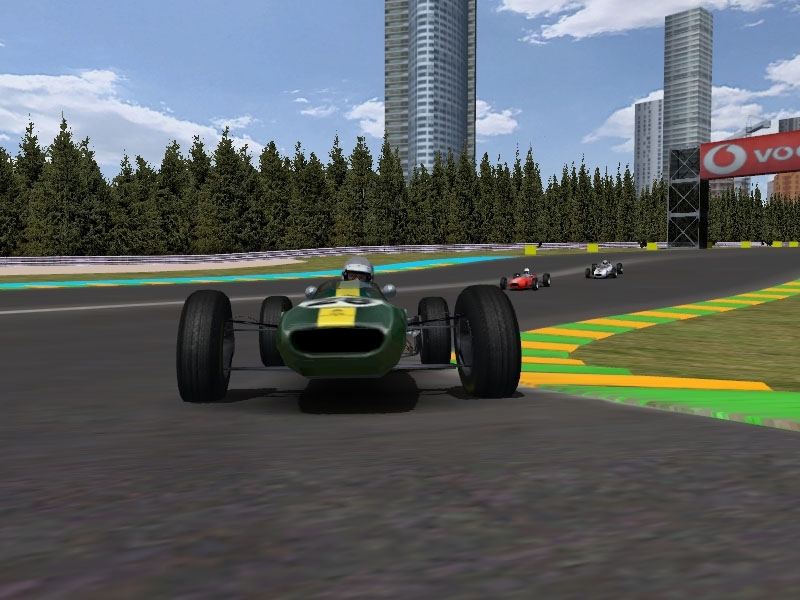 At the time I'm writing this, there aren't lots of Formula One historical mods for rFactor: we are plenty of mods from the new millennium of racing. Lap is not counted when one drives through pits. Shame. A pista está simplesmente maravilhosa. Me senti lisonjeado a ser um dos primeiros a experimentar essa obra prima do Silvano. Uma riqueza de detalhes incrivel. Dificil você se concentrar no traçado e não se embasbacar com a beleza da pista. Parabens a todos envolvidos nesse trabalho maravilhoso. The track is simply wonderful. I felt flattered to be among the first to experience this masterpiece Silvano. An incredible wealth of detail. Hard you concentrate on track and not gawk at the beauty of the track. Congratulations to all involved in this wonderful work. Thank you to see the problem and congratulations for this great track. 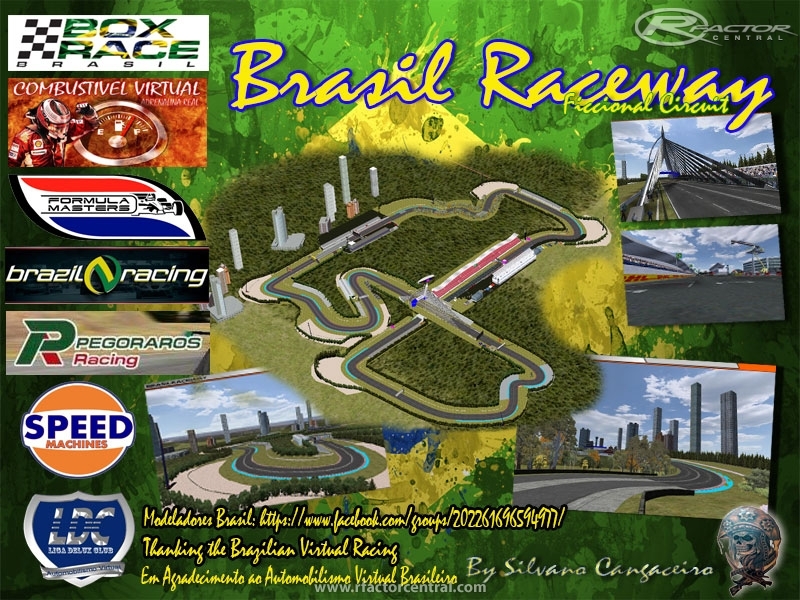 I drove Silvano Cangaceiro's Brasil Raceway for a bunch of laps. It is a tricky track to drive, I had very few perfect laps. 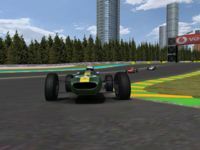 I was driving SCL Brasil mod as well as the '76 Formula Atlantics. The track has an impressive amount of detail and an excellent frame-rate. Fun to drive, but it will take some practice. Parabéns Silvano!! Já dei uma volta e já está saindo um vídeo em 1080p. To correct lane blurry, just open your file "plr" search line "mip mapping" and switch to 0 (zero). Para corrigir pista embaçada, basta abrir o seu arquivo "plr" procurar a linha "mip mapping" e trocar para 0 (zero).